Trazodone Half-Life And Drug Tests: How Long Does It Stay In System? Trazodone Half-Life: How Long Does It Stay In System? No matter if a person suffers from insomnia or depression life still has to go on and a drug test for a future job is unavoidable. This is why people wonder How long Trazodone stays in the system to know whether they will pass a drug test. Trazodone or Desyrel, another name for Trazodone, once ingested, it is broken down into several metabolites, some of which linger for a more extended period than the parent compound. Although the parent compound can be eliminated from the system in about two days, some of the metabolites can linger for up to 26 days. How Long Does Trazodone Stay In System? What Is The Half-Life Of Trazodone? Will Trazodone Show Up On A Standard Pre-Employment Drug Test? Can Trazodone Cause False Positive Drug Test? How To Remove Trazodone From The System Faster? 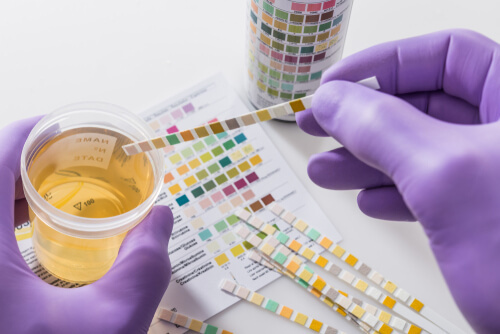 The testers in a drug test are not just looking if the drug is present in the urine, but for a metabolite that can be found after the substance is broken down. The metabolite is the indication that the drug has been in the body. When the body does not use the metabolites, they are stored in the fast-growing cells, such as the hair, nails, and fatty cells. The more fat content the body has, the longer the metabolite stays in it. Saliva and blood tests are different from the urine ones, as they also trace the parent compounds of the drug, not just the metabolites. A blood test is usually done when there is the suspicion that the person is still actively under the influence of a drug. Trazodone metabolites can be traced in the blood for up to three days. The parent drug, Trazodone, is eliminated for the body in maximum two days, but some of its metabolites can linger for longer. That is why urine test can trace Trazodone metabolites even 26 days after the last dose. Saliva testing can show drug use in the first few hours after administration, a time window which could be missed by urine testing. Also, most drugs are detected from one to four days after the last use. A saliva test can detect Trazodone metabolites in the system for a little longer compared to blood tests. Therefore, such a test could find the drug’s metabolites in the body for up to four days. Hair analysis is another way to detect antidepressants, and it offers information about long-term exposure over a specific period, depending on the length of the hair. Hair grows about 1 cm per month, so depending on how long the hair is, it is possible to detect drug use over the past months. It is worth noted that a hair test would be able to detect the drug only a few days after use. A hair test might show up positive for Trazodone metabolites up to 90 days after the last dose. Once the treatment stopped, one might wonder how long Trazodone withdrawal lasts, or for how long would the drug stay in the system. The answer to the first question depends on each person. Some might still have cravings and psychological symptoms for several weeks and some for months. When the treatment has been completely discontinued, Trazodone is eliminated on a biphasic system. The drug is entirely metabolized hepatically by oxidation and hydroxylation to metabolites. Trazodone’s half-life is about one hour and an elimination half-life of between 10 and 12 hours. Trazodone’s primary metabolite, the m-chlorophenylpiperazine” (mCPP), has a half-life of between 2.4 and 6.8 hours. However, the redistribution half-life of other metabolites is about one hour, and the elimination half-life can last up to 12-13 hours. Trazodone’s half-life and excretion period depend on several factors, such as the duration of treatment, age, and genetics of the patient, liver function, metabolic rate, urine pH, the frequency of administration and the co-ingestion of other drugs. This applies even for those on Trazodone recreational use. Drug testing is usually used in the workplace, criminal settings, and health care, and has become frequently used over the past ten years. Drug testing most commonly consists of urine screens because of the ease of sampling. Usually the 5-panel test is used by private employers, which screens for amphetamines, cannabinoids, cocaine, opiates, and phencyclidine, but it is not uncommon to test for 10 or more substances: cocaine, marijuana, PCP, amphetamines, opiates, benzodiazepines, barbiturates, methadone, propoxyphene, Quaaludes, Ecstasy/MDA, & Oxycodone/Percocet. Trazodone is not among the prohibited substances, and there is no test required for prescribed antidepressants. Besides that, antidepressants are not among the drugs an employer is looking for during a pre-employment drug screening. Specific additional tests would be required to detect antidepressants. Although it sounds like a weird question for an antidepressant, it is possible for this to happen. Unfortunately, the urine test is not perfect, and false-positive results can lead to severe social and medical consequences if the results are not double checked and reconfirmed by another analysis (gas chromatography-mass spectrometry for example). The false positive test result is possible with the Trazodone drug. This happens when a drug with a similar chemical structure is fragmented into a component that is similar to the targeted drug. Unfortunately, the screening test sometimes fails to differentiate an antidepressant, such as Trazodone, and crystal methamphetamine. Although Trazodone is not a prohibited substance, one thing to know is that one of its by-products, the meta-Chlorophenylpiperazine, is a powerful hallucinogen and an abused stimulant. In a standard drug test, this compound has the cross-reaction with Amphetamines, and this leads to a false-positive result. Trazodone is among antidepressant drugs that are highly prone to false-negative results. This result can be affected by several factors such as the quantity of the drug ingested, dilute urine and the duration between ingestion of Trazodone and the time of testing. Testing made on six patients who took Trazodone showed that three of them tested falsely positive for meth. Trazodone for sleeping and depression is frequently prescribed so anyone can be a victim of a false-positive test result. Although the best thing to do is to wait for the drug to be customarily eliminated from the organism, there are some steps to take to make this process faster. Note that this should be done only after asking a medical professional about the efficacy and safety of the following suggestions since they might be detrimental for those using other medications besides Trazodone. Drinking liquids will not significantly speed up the drug’s excretion for the body, but it might offer some benefit. Hydrations increases the clearance speed of drugs which are eliminated through urine. Note that drinking too many liquids is toxic and might do more harm than good. A proper level of hydration after Trazodone cessation would ensure that the drug gets eliminated faster. Your urine’s pH might also influence if the drug will get reabsorbed before excretion. People with highly alkaline urine are more prone to reabsorb drugs such as Trazodone before it is entirely excreted. This leads to re-circulation in the body. Get the urine close to a neutral pH by avoiding alcohol, coffee, orange and cranberry juices, as well as red meat. 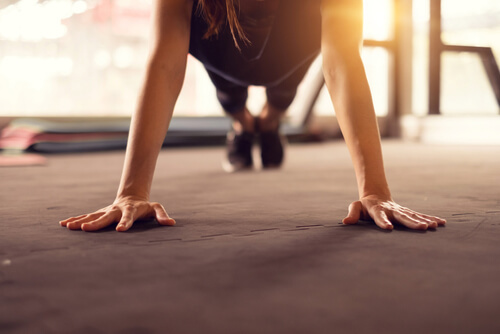 Exercise burns body fat, some of which can be responsible for storing Trazodone metabolites, especially at patients who have been long-term users. Doing exercises after discontinuation aimed at burning out fat might help in purging the drug form the system faster than if being sedentary. Activated charcoal is a supplement that binds to remnants of drugs and toxins, cleaning the body. This is also great for patients who undergo antidepressant withdrawal. By taking activated charcoal, the unmetabolized Trazodone will no longer linger in the liver. 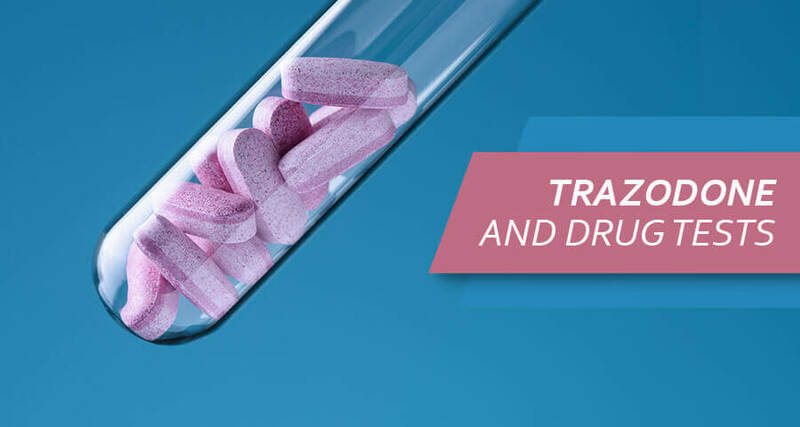 Knowing that Trazodone drug testing show up is a possibility, the worst thing one can do is to stop the medication or even reduce the dosage without medical advice. Even a short-term interruption of Trazodone dosage for insomnia or depression can imply serious side effects and consequences, such as antidepressant discontinuation syndrome or ADS. This syndrome may require drug abuse treatment. Anyone concerned about Trazodone on a drug test should first talk to a health provider so that the drug screen is taken safely and without any stress. The drug rehabilitation clinics also offer detoxification methods to flush the medication from the body faster. Addiction Resource » Addictive Substances: The Anatomy of Drug Addiction » What Is Trazodone Addiction? Desyrel Drug Abuse » Trazodone Half-Life: How Long Does It Stay In System?